Cabinet this week approved a slew of agreements to be signed during President Maithripala Sirisena’s visit to Germany, which kicks off on Monday, where the Government is expected to push for increased engagement for economic growth including assistance for regaining GSP+. During the Cabinet meeting held last Wednesday, members approved a Memor-andum of Under-standing (MoU) between Sri Lanka and the German Association for Small and Medium-scale Enterprises. “The Government has identified the SME sector as an important aspect to be developed due to its contribution in economic development of the country, employment generation and reducing the poverty. Government’s policy is to facilitate them in entering the export market,” the Cabinet paper released to media read. “Therefore a MoU has been prepared to be signed between entrepreneurs of the two countries of the SME sector.” The proposal made by Industry and Commerce Minister Rishad Bathiudeen to sign the MoU during the forthcoming German visit of the President was approved by the Cabinet of Ministers. A second South Asia Institute affiliated to the Heidelberg University of the Federal Republic of Germany and German Academic Exchange Service has also been proposed. Accordingly, the proposal made by Higher Education and Highways Minister Lakshman Kiriella to sign two memoranda of understanding with the South Asia Institute affiliated to the Heidelberg University of the Federal Republic of Germany and German Academic Exchange Service was given Cabinet approval. A third MoU will be signed to develop sports with German assistance. The agreement is aimed at providing the framework for bilateral cooperation in the field of sports, sports administration, research in sports, sports development and excellence in sports. German Foreign Minister Frank Walter Steinmeier extended assistance to Sri Lanka to regain GSP+ during a visit to the country last September. 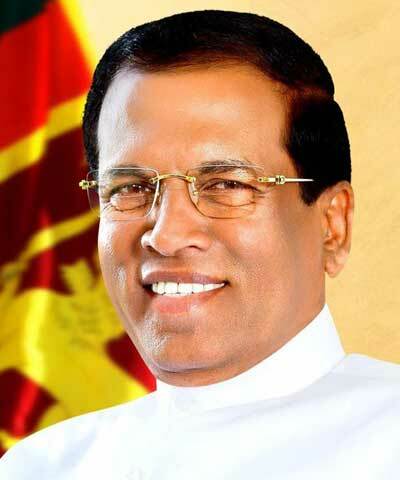 During his visit Steinmeier invited President Sirisena to visit Germany, which is the first such tour undertaken by a head of State to Germany in 43 years. The visit comes as Sri Lanka readies to formally apply for the resumption of the GSP+ trade facility following months of preliminary assessments.